Burn up to 9x more fat.The Turbo Fire Challenge Pack includes 12 workouts, ranging from 10 minutes to 55 minutes. Chalene’s Fire Drills, also known as High Intensity Interval Training (HIIT), push you to your max for up to 1-minute bursts. Studies show that HIIT ignites your metabolism, enabling your body to burn more calories for up to 24 hours after your workout.Here’s what your Challenge Pack includes:12 Smoking-Hot Workouts and MORE! 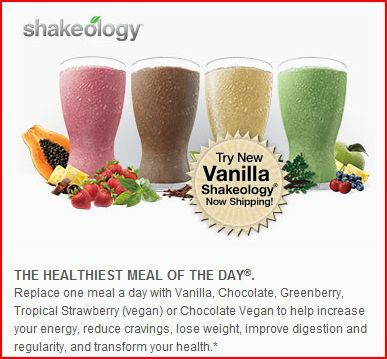 *With Shakeology Home Direct, you’ll receive this item every 30 days, shipped directly to your door and billed to the credit card you use today in the amount of $129.95 a month—only about $4.00 a day!—which includes FREE shipping to your doorstep. You may cancel at any time to avoid future charges by calling Customer Service. **After your first 30 days, you’ll be automatically billed to continue your Team Beachbody Club membership at a cost of $2.99 a week, billed $38.87 per quarter in advance to the credit card you provide today. You can cancel anytime to avoid future charges by calling Customer Service.†Offer not valid for current paying Team Beachbody Club members.‡These statements have not been evaluated by the Food and Drug Administration. This product is not intended to diagnose, treat, cure, or prevent any disease.Consult your physician before beginning any exercise program. Results may vary. Exercise and proper diet are necessary to achieve and maintain weight loss and muscle definition.